Eleven grains that can make or break your diet. 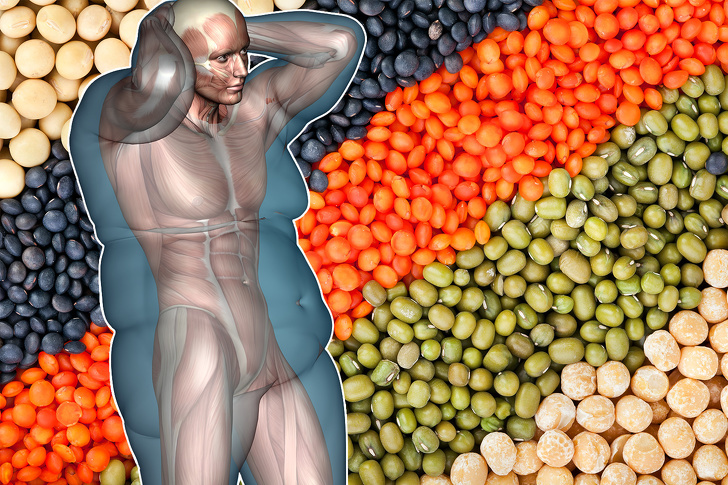 There are grains that are perfect for weight loss making extra pounds vanish within days. But there are grains that are equally awful for weight loss. But back to staying healthy and fit with grains. The thing is grains provide both carbs and fiber which are essential for the proper functioning of our body. Carbs give us loads of energy and fiber contributes to weight loss and an hourglass figure. By the way, if you want to lose weight, take a closer look at the foods that are high in fiber, they will fill you up faster and suppress your appetite. Whole oats contain beta-glucan fiber which is well known for its ability to absorb tons of water making it swell in your stomach. This then increases the pleasant feeling of being full. In other words, you'll simply eat way less! Moreover, oats are very high in avenanthramide, which is an antioxidant that protects your heart, one more reason to add them to your menu right! But don't think that you can consume whatever you want as long as whole oats are part of your menu. No beta-glucan fiber will help you if you eat two burgers a day. lso Read: What to Do When a Boy Looks at You? Considering how many vitamins and minerals brown rice contains it should be crowned as a superfood in the blink of an eye. Antioxidants, magnesium, phosphorus, B group vitamins, selenium, and that's still not the whole list of all its goods. Needless to say, it's high in fiber low in fat and has a low density. Which means you'll feel full after eating a relatively small amount of it. Perfect for losing those annoying extra pounds. Some specialists are sure that whole ride more nutrients per serving than any other whole-grain. And there has to be some truth to this. Just think about it! With four times more fiber than standard whole wheat, 100 calories per serving, and nearly 50% of your daily recommended iron intake. It's an irreplaceable product that can help you lose weight and also improve your health. Definitely worth a try don't you think. Barley is excellent for a perfectly toned figure and it also lowers your cholesterol levels. Its minerals and nutrients work their magic in no time. Making you feel full and giving you all the essential elements your body needs. Just make sure to get whole grain barley instead of a pearled one. Refined barley just like oats loses tons of crucial components. Buckwheat is a true champion as it contains more protein than any other whole-grain. Topping the list of necessary protein foods for every single one of us especially if you're a vegetarian. But its advantages don't stop there. Buckwheat is very high in magnesium which conveniently helps to regulate your blood pressure. So, don't dismiss it if you want the body of your dreams. If you know at least something about a healthy lifestyle and menu, you know what quinoa is! This grain is high in protein, B-group vitamins, and omega-3 fatty acids. Making it a real treat for people with celiac disease and gluten intolerance. Although quinoa is kind of high in calories has a low glycemic index. This means it won't cause a big spike in blood sugar. So, don't worry with quinoa your weight will only go down. If you want corn to help you get slimmer make it a rule to eat a whole ear of corn. This will allow your body to receive all the B group vitamins, magnesium, antioxidants, and phosphorus that it contains. In addition, you won't have to worry about calories as corn has relatively few of those especially if you don't add butter to it. Generally speaking, it's the whole grains that are high in fiber and have a low glycemic index that you should be on the lookout for if you're on a diet. Okay, now that we've got this down it's time to find out what type of grains you should avoid. Luckily this list isn't that long! Yep, eating white rice may be the reason why you can't lose weight. It's actually a refined carbohydrate that's very high in calories and low in fiber. And from this point of view it has hardly any nutrition plus its glossy make index is quite high which means that it turns into sugar very quickly and only fills you up for a short period of time. So, take it easy on the white rice and you'll see the difference. Just like brown rice wheat is a superfood, a superfood for gaining weight. The main reason for this title is amylopectin A an extremely fattening starch. Wheat's high amount of calories and high glycemic index aren't the biggest problems though. The worst thing is that it's really addictive. So, the further you stay away from wheat the better it is for your figure. Couscous may look like a whole grain at first glance but it's actually not that different from refined wheat. You won't find any nutrition here but you will find numerous calories. So, once again, it's not a good choice if you wish to lose a few pounds. And that's the end of the no-go grains list. Notice how it's all refined grains. That's no surprise since most of them have zero nutrition and are packed with calories. Your waistline surely won't be happy about it. So, there you go that's all you need to know about adding grains to your menu. But before you go, I have one more exciting recipe that will certainly, come in handy if you want to lose weight. All you have to do is make what I call grain goodness to the max. In this form, all vitamins and minerals of your grain of choice will get to their absolute highest point of fabulousness. To see the effect for yourself, start by soaking raw whole grains overnight, then rinse them well and wrap them in a wet cheesecloth. Leave them like that for 12 to 24 hours depending on the grain you use and be sure to keep them out of direct sunlight, then rinse them once again and your meal is ready, you can eat this type of grain raw or cooked. And if you stick to this menu and don't back down! You'll get a nice bonus at the end. The perfect figure that you've always dreamed of. But what about you what type of grains do you personally find the most effective for weight loss? Tell us in the comment ection below.